We all know about the danger of smoking but many people have habit of chain-smoking. 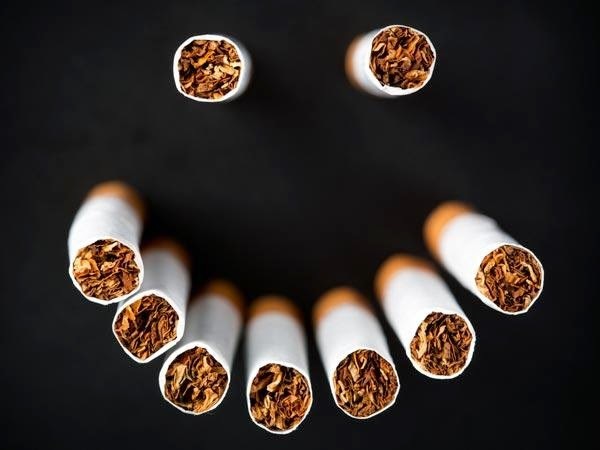 They know that smoking creates cancer and respiratory problems but they do not know that there are many other problems. Let us know about some of the effects of smoking. 1. Hair Fall: The more you smoke the more hair fall occurs and person becomes bald. This case has been seen in most of the men. 2. Affects Digestive System: Smoking has irreversible effects on the stomach and intestines. The harsh toxins in cigarettes damage the lining of the stomach and digestion enzymes do not work properly. So the smoker’s stomach does not remain healthy. 3. Smoking kills the taste of Mouth: The buds of tongue become weak and you do not know the taste of any spices. The people who do more smoking they do not know the taste of food. 4. Dehydration: Smokers should drink more than 2 liters of water compared to common man. The body becomes dry from the inside. The symptoms are coarse skin, dry lips and urinary infections. 5. Smoking reduces energy: Many smokers say that they work in night shift and they get energy from cigarettes and they work more efficiently. However, it reduces the ability of lungs and body’s energy. 6. Damaging to DNA: As you as you smoke, there is a wire element occur in blood which damaged the DNA.